Three days down and less than one to go. The voice is hoarse and the legs are tired but it’s been great to catch up with so many customers, prospects, partners and friends. There’s a real change in the depth of detail of our conversations compared to previous years and it’s reassuring to hear people talk so highly of Yospace for server-side ad insertion, especially in a field where there is increasing competition. The rise of OTT has seen many broadcasters urgently need to monetise online, and the challenge of retaining an audience has meant that a number of broadcasters have moved to reduce advertising with longer term benefits in mind. This is exactly what our customer Medialaan did on its live streams. The innovative European broadcaster allowed viewers on its Stievie service were able to rewind a live stream then receive shorter ad breaks to allow them to catch up with the live programming sooner. The result was more engaged viewers, longer viewing sessions, and ultimately more ad breaks viewed. Read about this more in our Medialaan case study. The challenge of scaling live sports and their unpredictability demands any advertising system employed by a broadcaster to be both robust and versatile. Typically up to 90% of viewers tune into a football game within five minutes of kick-off, and it’s in situations like this that our pre-fetch system is crucial (read more about this in our Day One blog). In addition to this, our SSAI enabled the broadcaster to monetise streams within an enhanced player and deliver on its ambitions to put the viewer front and centre of the action. Read more here. Australian broadcaster Seven live streamed all 16 courts of the Australian Open. Thanks to Yospace’s ability to feed back live telemetry data, Seven was able to prioritise the advertising based on the state of play of each court at any one time. Find out more about this project in our Seven case study. It’s pleasing now that most people we meet already know the answer to this question and are keen to get into the details of the technology. We’re finding that discussions around consistency of viewer experience, measurement and data security are becoming more and more popular. 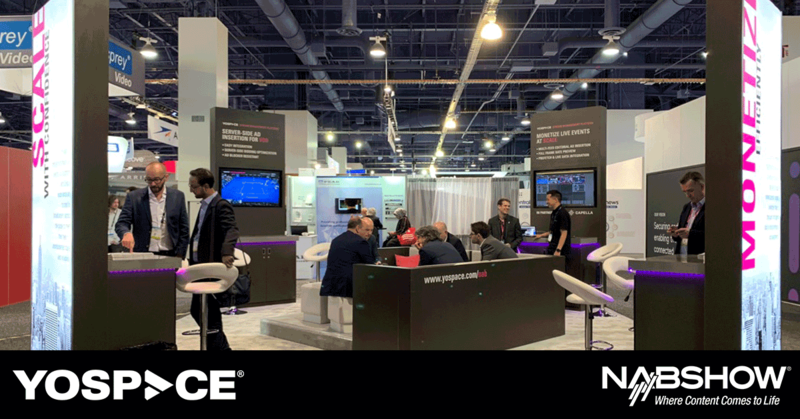 Harnessing the power of SSAI for VoD is our focus for day two at NAB. 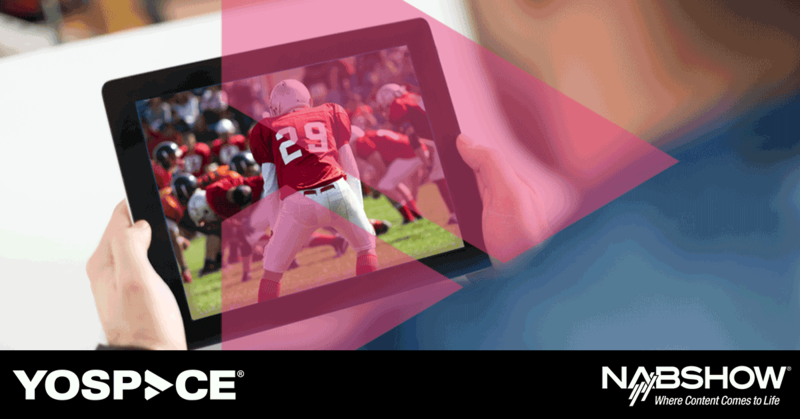 Over the past year, we’ve seen a considerable increase in operators and MVPDs implementing SSAI for VoD to deliver viewing experience consistency throughout their device platforms. Why is there a move towards Server-Side Ad Insertion for VoD? In this article for TV Technology, Yospace’s Founder & CTO David Springall discusses why SSAI technology, which has been a staple of live monetisation for a number of years, is also proving to be a popular way of monetising VoD due to factors such as viewer experience, ease of maintenance and data security. Data security is an especially important topic. As operators and MVPDs increasingly rely on their first-party data to maximize ad revenues, having an effective middleware layer (SSAI) between the client and the ad server is crucial in protecting user data and preventing them from being re-targeted. Swedish innovator TV4 is an example of a broadcaster that’s making the most of a joined up live and VoD monetization strategy. The broadcaster has recently agreed an extension with us to provide server-side ad insertion (SSAI) across its TV Everywhere service, TV4Play. As a leader in the broadcast space that’s continued to reinvent itself, TV4 was one of the first broadcasters that recognised the value in using SSAI to monetize VoD. Read this blog post to learn more about the company’s digital journey with SSAI. Have a great day 2 of NAB. Click here to book a meeting or pop by SU3414 – it will be good to see you. Welcome to Las Vegas. Despite being home to a hundred resorts and 150,000 hotel rooms, it feels like I know everyone here during NAB week – whether it’s bumping into a customer in the cab queue or taking a table next to a tech partner – the broadcast engineering industry seems to take over the city during the event. This year we’ll be using each day of the show to discuss a different element of server-side ad insertion (SSAI), so be sure to check here after each show day. We’ll be sharing relevant content on Twitter and LinkedIn too, so keep an eye on our profiles. 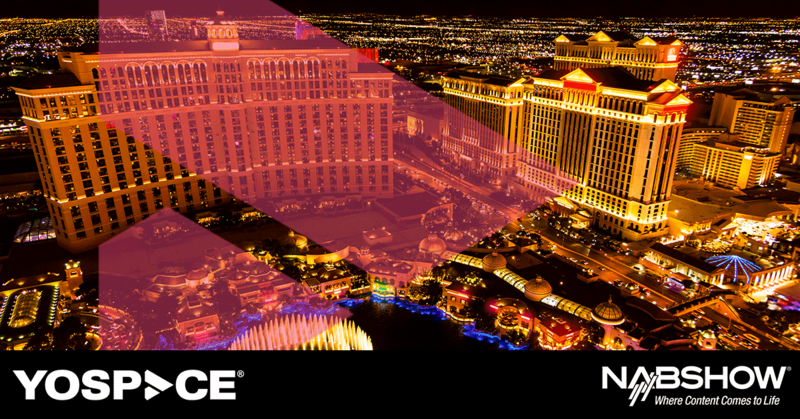 Our focus for the first day of NAB is scaling programmatic for major live events. In order to maximise ad revenues, programmatic systems need adequate time to respond in a major live event set up, and this need is especially apparent in a low latency environment. To maximise the revenue opportunity, it’s necessary to make ad decisioning calls in an orderly fashion way ahead of the actual break taking place. 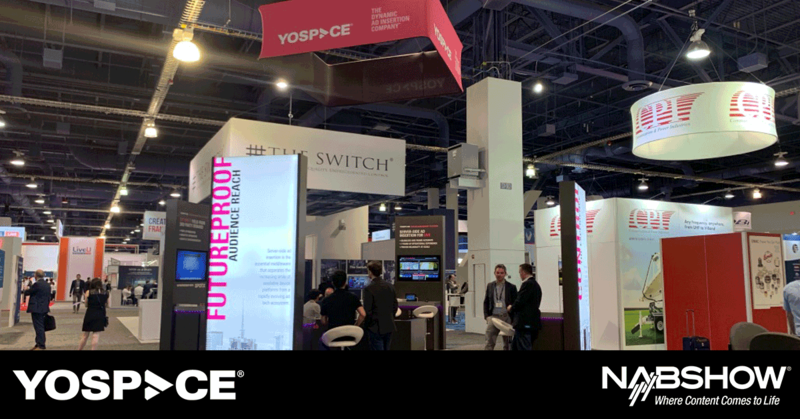 Our prefetch system allows ad calls to be made early, allowing the time needed to return a full pod of ads for each viewer, and this is a crucial element of our offering that we’ve been sharing with visitors to our booth at the show. You can read more in this blog post. For a more in-depth explanation read our white paper. Once you have prefetch in place you can plan for advanced programmatic; the next opportunity to explore is prebidding. Prebidding replicates the benefits of web header bidding for video. 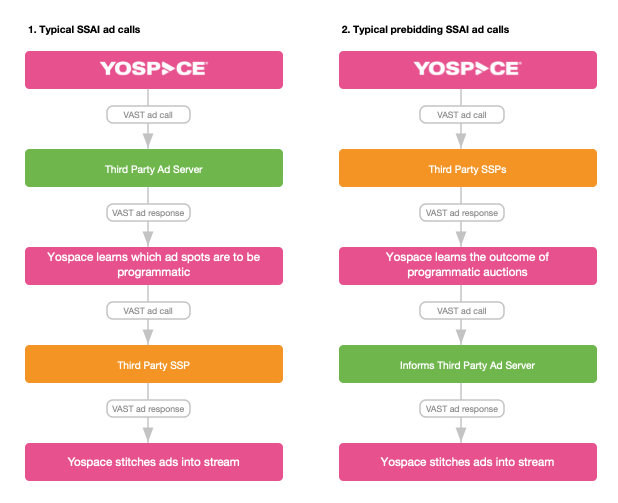 By calling all supply-side platforms simultaneously, we can inform the ad server of the responses to help it make an informed decision on which ads to place and ensure the highest available CPM can be secured. Have a great opening day of NAB. Click here to book a meeting on our booth (SU3414). Swedish broadcaster TV4 has long been a leader in the broadcast space, from going digital in the noughties and its early adoption of server-side ad insertion (SSAI) technology, to forming key partnerships with broadcasters and operators to grow its audience and boost ad revenue. TV4’s innovative approach is paying off, too. In the press release that announced the renewal of its contract with Yospace, the company’s COO Mathias Berg revealed that the company achieved its highest ever revenue in 2018. He credited the ability to provide a platform-agnostic experience for advertisers across all video as a key factor, an experience that is enabled by SSAI. TV4’s record earnings, at SEK 1,382 million (€112,537,903), were up 35.2% on 2017, making it one of the most successful broadcasters on the continent. How did the broadcaster achieve these heights? And how did it use SSAI to carve out its route to a profitable future – for TV4, for advertisers, and for its audience? TV4’s forward-thinking approach was apparent when it became the first broadcaster in Sweden to implement SSAI, notably adopting the technology for both live and on demand content to deliver a consistent TV quality viewing experience, with one to one addressability and ad measurement. 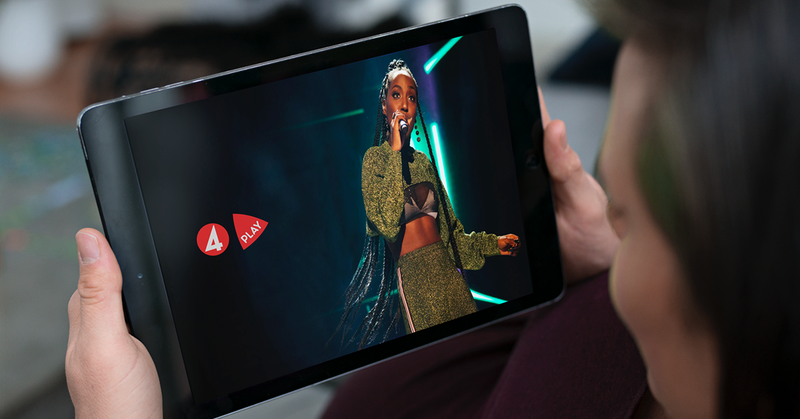 SSAI has allowed TV4 to unlock new revenue opportunities by allowing for consistent monetisation of all its content across all connected devices, and for viewer data to be harnessed to inform and deliver addressable advertising. This is a sector which shows no signs of slowing, with addressable TV ad spend forecast to exceed $3 billion by the close of this year. TV4’s CEO Casten Almqvist recognised back in 2012 that in order to outstrip the competition in Sweden’s TV market, the network must “continue to reinvent” itself, investing in its digital service TV4Play, while continuing to focus on “breadth, diversity and quality” and producing “engaging TV for the whole country”. This prompted TV4 to turn to SSAI soon after, which in turn paved the way for another innovative move last year. A first in Sweden, TV4 collaborated with Telia, Discovery Networks and Modern Times Group (MTG) in March 2018 to launch a targeted advertising initiative on Telia’s Play service. This delivers tailored advertising based on an individual’s location, the channel they’re watching, the kind of screen and the type of device they’re using to stream content. Later the same year, TV4’s adoption of SSAI allowed it to secure distribution deals with other major distributors including Com Hem. And with the broadcaster continuing to innovate, then long may this continue. 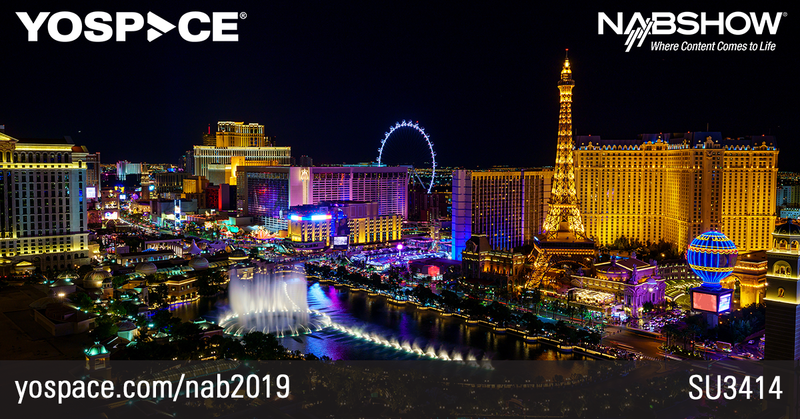 The 2019 NAB Show is fast approaching and we at Yospace are looking forward to exhibiting at the event for a seventh time. Here’s a quick overview of what we’ll be talking about and our activity in and around the show. We have a booth in the South Upper hall, number SU3414. If you don’t have a meeting yet then click the link to request a time. It will be good to see you. The focus of our show will be on two main topics: best practice for implementing server-side ad insertion (SSAI), and realising the ad revenue opportunities once SSAI is in place. There will be four demo pods on the booth, two of which will be dedicated to best practice in implementing SSAI for live and VoD. The other two will showcase some of the possibilities of what you can achieve once you have the right SSAI foundation in place. These will consist of a shared demo with programmatic specialist SpotX that looks at the concept of prebidding to achieve maximum ad value, and another, with Capella Systems, that will focus on how to scale up and monetise multiple channels during major live events. I’ll be sharing insights on all of these topics throughout the show on our LinkedIn and Twitter feeds. And you can check back here for a daily update post at the end of each day.